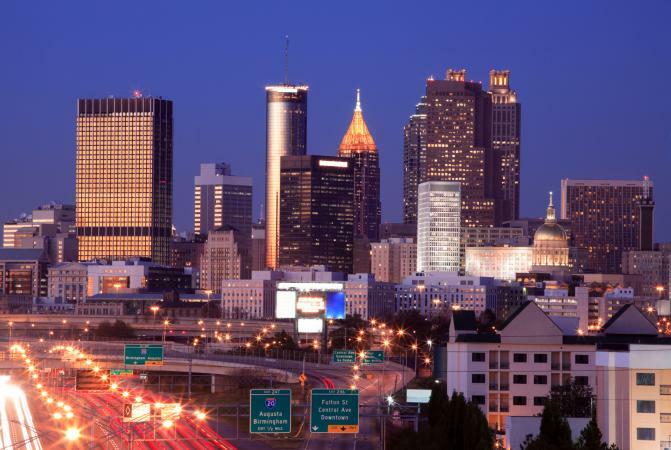 Atlanta is one of the largest metropolitan centers on the east coast. People from all over the world relocate to Atlanta every, and this means there is a thriving restaurant scene that has everything from southern-comfort classics to international fusion delicacies. If you're visiting Atlanta or have recently moved there, check out these amazing places to grab a meal. Staplehouse is one of the best new restaurants in Atlanta. Staplehouse is located in Atlanta's Old 4th Ward and has a delicious menu that changes seasonally depending on what local growers have ready. Not only is the food delicious and seasonal, but Staplehouse has a service mission. They are a for-profit subsidiary of The Giving Kitchen, a non-profit that helps food-industry workers in the Atlanta metro area when unexpected medical or financial hardships arise. Aviva by Kameel is not only highly rated by diners, but is also one of the best restaurants in Atlanta right now according to Thrillist. Get your taste buds ready to take a trip across the Atlantic because Aviva by Kameel serves up some of the best falafel, shwarma, and other middle-eastern delicacies you've ever tasted. This is a family run operation that started in 2012 and bases everything off of old family recipes. Chef Calvin Phan was born in Vietnam and classically trained in Germany. In 2012, he brought his culinary stylings to downtown Atlanta, and Poor Calvin's was born. At this quaint restaurant, you can get beautiful Thai dishes with a southern twist, the finest brunch in downtown, and some of the best cocktails in the whole city. Poor Calvin's is widely regarded as one of Atlanta's best-kept secrets. The General Muir has staked its claim in the Atalanta foodie scene in just four short years. The New York Times named it as one of the best places to eat in Atlanta. TGM is serving up classic New York Jewish Deli classics like open-faced bagels, latkes, and crispy pastrami. If those dishes don't get your mouth watering, in 2016 it was named the best new bakery for it's outstanding bread. Since 2007, Jonathan and Justin Fox have been slinging delicious BBQ from their restaurant in Atlanta. If you are looking for backyard-style BBQ, Fox Bros. is definitely where you want to go. It was even named one of the best BBQ restaurants in Atlanta by ABC News. All of Jonathan and Justin's recipes were born out of their backyard BBQs with friends and family, adding to the home-grown flavor. If you're in need of a vegan/vegetarian option in Atlanta, Viva La Vegan is a must. This local spot is one of the 10 essential vegetarian restaurants in Atlanta. They're serving up southern dishes with a vegan twist like vegan chili dogs, Chik N and Waffles, and Fishless Po Boy sandwiches. As of August 20, 2017 their website seems to be out of comission, but their phone is active and they are open. A Mano has been in the works since 2014 and now that it is finally open for business, it's one of the hottest new restaurants in Atalanta. Chef Chandler Cottinghame is serving up simple, traditional Italian cuisine using fresh ingredients like pasta made in-house. Bone's is an Atlanta institution. While it is definitely on the pricier side, it is the best fine-dining establishment in Atlanta and a great place to get a glass of fine wine. If you want a high-end steakhouse with mouth-watering meats for a special occasion, Bone's is the place to go. The Ticonderoga Club is best known for its amazing cocktails and stellar drink menu, but their food is not to be missed either. The menu is short, but the dishes are consistently rated some of the best in Atlanta. This is a hip club with plenty to offer anyone looking for a special night out. They also offer a fun Sunday brunch menu. It's the most important meal of the day, so why not get breakfast at Atlanta Magazine's top choice for breakfast in Atlanta? White house is serving up Greek-inspired breakfast dishes and has something for everyone. The local favorite is the Olympic Omelet which has plenty of feta, mushrooms, and tzatziki to satisfy your inner Greek side. Don't worry, it also comes with fried chicken fingers over biscuits with sausage gravy.